Mark L. Chipokas PC is a workers' compensation and personal injury attorney based in Cedar Rapids, Iowa. Suffering an injury at work is frustrating in a number of ways, not the least of which is the process it takes to obtain benefits. At Mark L. Chipokas PC in Cedar Rapids, Iowa, Mr. Chipokas takes the burden off injured workers so they can focus on recovery. The law office deals directly with the insurance providers. The goal is to eliminate the need for clients to experience the headaches of communicating with companies that attempt to shortchange them of the benefits owed to them. At this law office, Mr. Chipokas handles workers’ compensation and personal injury cases with the utmost efficiency. He understands clients’ concerns as medical bills pile up, especially in situations when earning an income is not possible. To reduce waiting time, he ascertains that all paperwork is filed correctly and on time, every time. Additionally, his decades of experience mean Mr. Chipokas anticipates and mitigates the ways a provider may try to deny a legitimate claim. • There are no upfront costs. • There is no fee unless clients recover compensation. • Each case begins with a free initial consultation. 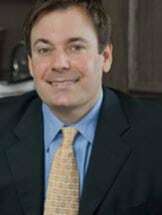 Here, clients find an attorney who is approachable and a law office that gets results. Mark L. Chipokas PC accepts credit cards.